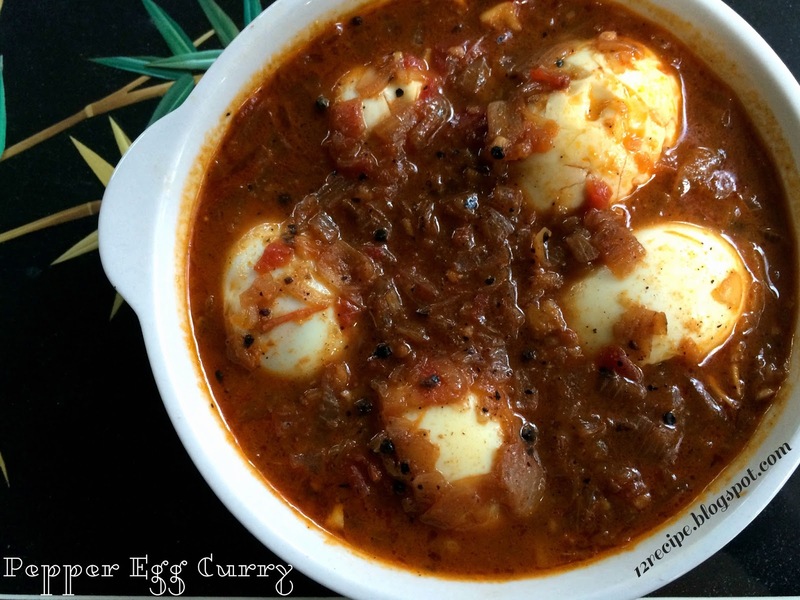 A spicy and delicious Kerala style egg curry flavored with pepper🍜. Heat oil in a pan; when it is hot add the crushed pepper and garma masala powder (1/4 tsp). Saute for a minute until the aroma bursts. Add thinly chopped onions and saute them very well. ( Saute onions on medium flame until very soft and mushy consistency. Better the sautening depends on the nice color and taste of the curry). Then add ginger garlic crushed and saute for another a minute. Add all the powders one by one after mixing well in each addition. Add chopped tomato pieces and saute well so that all the tomato pieces get disappears in the onion masala (mash them well with the ladle). Add 1 cup of hot water in to it; mix well and cover cooks the curry on low flame for about 15 minutes. Open the lid ; add boiled eggs; cook for another few minutes until curry starts thickening. 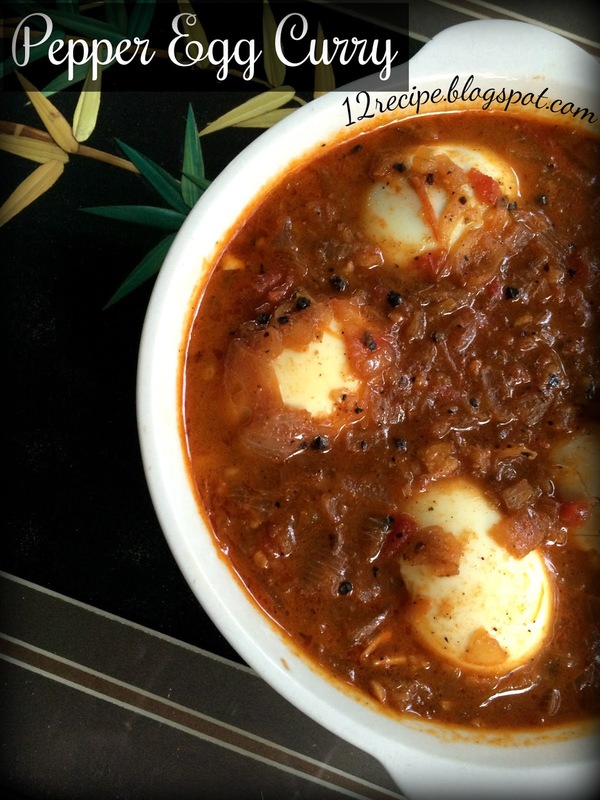 Switch off the flame and serve hot with Paratha, Roti or rice.